I’m sure you’ve all noticed - the change that has been slowly taking over the motorcycle industry for the past few years. We - and by we, I mean all riders - have changed. Our preferences. Our interests. Our new community - its different. It’s not just that some of us are getting older, it's really the different types of people who are choosing to ride. For some of us our bike is a toy, or a weekend alternative to that larger 4 wheeled ride in the driveway. For others, we ride because our dad did and his dad did too. And then there are those of us who want a bike that’s nothing like their old man’s. You get the idea. We aren’t a one size fits all community, and that means we need that many more bikes to choose from. Harley has gotten this memo loud and clear and they are taking this new challenge on with a bold “get out of my way” type attitude by promising 50 new models in the next 5 years. Because seriously, who doesn’t like options? These new models will run the gamut - providing bikes for any type of rider - some bigger with a classic build, some smaller and more sleek - and that’s just what this industry - and our riding community - needs. Trust us, no one wants to see more people get involved in riding than we do. So, props to Harley for stepping up their game and ushering in this new era for all of us riders. 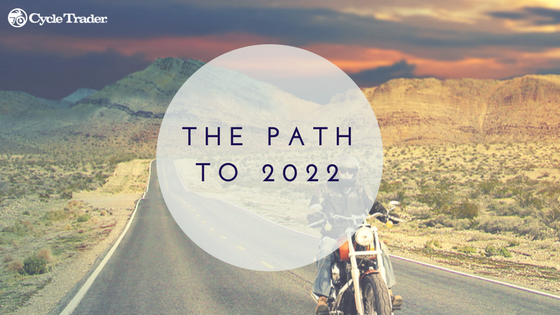 It’s about time the motorcycle industry embraced both the new and old faces of our community. I was expecting a little more as well !! That was earth shattering wasn't it! WOW I could have remained an ignoramus was it not for this extensive coverage of the future of motorcycling!! Will Harley be repackaging the same V twin and giving it more letters? Come on Harley, be brave and develop a new motor like maybe a flat 4 or a v 4 or heck, lots of different possibilities. Motus, an American motorcycle company has made an incredible V-4 motor. I would love to buy an American bike but don't want a long in the tooth v twin. "In other news, the grass is green and the sky is blue". Harley introduces different or updated models every year. If they are profitable they will stick. If not, they go (good riddance for those like the VRod..blech). The company exist to make money and that is a good thing for everyone. We vote with our dollars. Harley does what we want, that is the beauty of a free market. Underwhelming to say the least....what ya got Harley?!?!? That article is a joke - never heard anything with so many words saying nothing - except out of a (US) President's mouth ☺ happy New Year everyone! Riveting. God help us if the future is as boring as that article. A repackaged warmed over Milwaukee special really gets my blood pumping. Not! Show me some electronic engine management, traction control, an electric bike as a second or third bike not a deadwire that you have been promising for over 5 years. I could have built and sold a dozen bikes by now with HD's R&D budget. They finally black out an engine and forego the chrome bits, thank God, and charge $5,000 more? Give me a break. 50 models, HA, for 50 new customers more like it. I'll pay a little more and buy an ARCH from Keanu Reeves if I NEED a V twin in my life. Other wise I'll take a Ducati Diavel to get my fix. And this 2022 STORY you penned in less then 5 minutes, journalistic prose to you! You should write for the Huffington Post and support SWJ and gun control and #metoo issues. Please write something of substance if you have the medium and the audience use it to your advantage. The problem is that Harley is losing riders/buyers faster then they can shake a stick at. Us died in the wool riders love our big V-Twins but the younger riders aren't flocking to that type of motorcycle. In fact they aren't flocking to any type of motorcycle in particular. So Harley is trying to reinvent itself while still trying to maintain the mystic. Let's face it, until Harley can make a self driving bike that allows riders to text and play video games while riding we are losing riders. Harley, lead the way, I kind of want to watch this show, I think no matter what you do you will get mediocre results with the younger generations. Riveting. God help us if the future is as boring as that article. Free online games happy wheels.